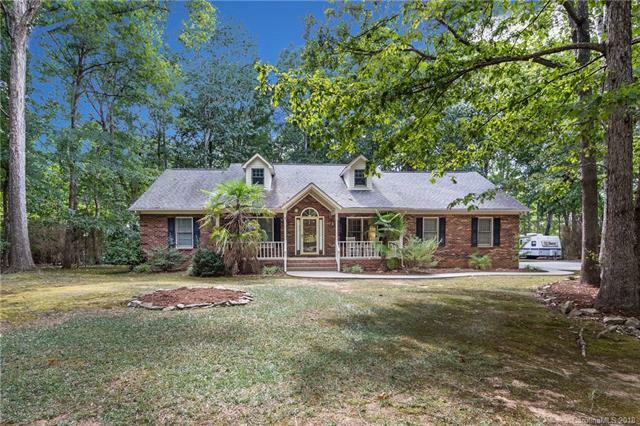 Hidden away in a cul de sac lies this full brick home on a flat lot in a community with NO HOA dues. Beyond the rocking chairs and swing is a welcoming open foyer. Custom kitchen cabinets are complemented by tile back splash and under cabinet lighting. Bay window surrounds breakfast niche. Appliances convey. Hardwood floors cover main living area floors, with tile in kitchen. Great room showcases a masonry surround wood burning firepl underneath its cathedral ceiling. Floor plan encompasses spacious secondary bdrms w/plenty of room for study, sleep & storage. Upstairs plumbed for full ba. Master Ste designed with tray ceiling & private 5-piece ba. Tons of storage! Roof replaced 2015! Freshly stained two-tier deck overlooks a naturally shaded backyard. Excellent curb appeal is enhanced by mature trees & shrubs. Garage workshop is incorporated in side load garage, w/ workbench & cabinets. A warm sense of community and only moments from shopping & eateries. A Must See! Sold by David Upchurch Real Estate.